We at Full Sail Graphics and Marketing in Huntington Beach are so excited to announce our new, modern website design! Since our start, we have dedicated ourselves to using the highest quality products and equipment to create premium results. We will continue this commitment to excellence in our service, vehicle wraps, window/wall graphics, signs, banners and more. Just now we can do so with a new and improved website design! Check it out at //fullsailgraphics.com . A huge thank you to Lighthouse Graphics for their amazing work throughout this process. For any other business contemplating website modernizations, Full Sail Graphics and Marketing has a few pieces of advice that we learned throughout this process that we would love to share. When remodeling a kitchen, almost no one just contracts with the first person off the streets who says they can build some cabinets, right? We ask our neighbors, friends, and coworkers who does their home improvement. We check reviews on the internet and we take quotes from a few different reputable contenders. So, use the same level of discretion in choosing a website developer. The face of your website is the face of your company. For many potential customers, it is the first glance they have into who you are as a business. With something that important, finding the right person for the job is key. Good things take time… You might expect to sign up with a website developer and have your new site up within a couple of days. Get rid of that misconception right now. It can only hurt you. If you’ve found a quality, trustworthy website developer, it is going to take some time to have that new site up and running. Expect the process to take a couple months from start to finish, depending on how large your request. There are so many behind-the-scenes details that must be worked out. Patience goes a long way here. There are two types of people in the world: those who see the big picture and those who see the little picture. For results as close to perfect as you can expect, you need a little of both. The specific length and substance of the text matters, the pictures that featured on the website matter, the order that different services are listed matters… It can be overwhelming. Hopefully you’ve chosen a quality website developer who can guide you through making these decisions. Much of the decision making will still be up to you. Keep your eye on the prize. Every little choice that you make brings you one step closer to the website of your dreams! Regardless of how much trust you have in the team creating your new website, it is still your website. They know their stuff and you know yours. If you know that you want a particular service that your company is most known for to be featured on the website, then speak up. The website development group may not necessarily know the intricacies of your business the way you do. Listen to the website developer’s opinion and trust it on matters of his/her expertise. But, make sure you always feel comfortable with being firm about what you know that you want. Seeing our new website only has us left with one question… why didn’t we modernize it sooner?! 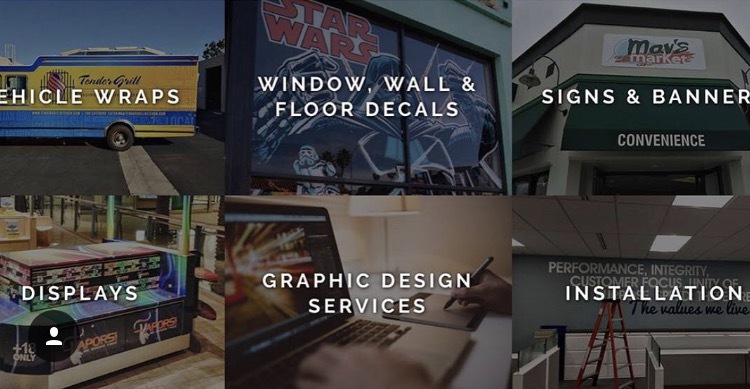 With over 50 years of combined experience in graphics and marketing, the Full Sail Graphics team is confident that we will deliver quality products on time and on budget. If you’re looking for help in this area, please feel free to give us a call at (714) 274-6706 or visit our website at //fullsailgraphics.com .